Home › Uncategorized › When Will Jerry Kramer Get His Due? A few weeks ago on the day before one of the best Super Bowls ever, the 2017 Pro Football Hall of Fame class was announced. For many of those elected, I thought “yep, they got that right.” For others I thought, “you’re #$^%^ kidding me!” I won’t name names on the latter because that does no one any good at this point. 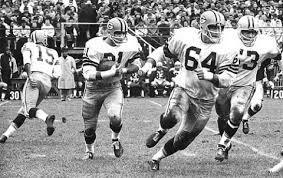 But, if we’re looking at HOF injustice, Exhibit A has to be Green Bay Packer’s great, Jerry Kramer – the best lineman on what be the best offensive line of all-time (the mid-1960’s Packers). 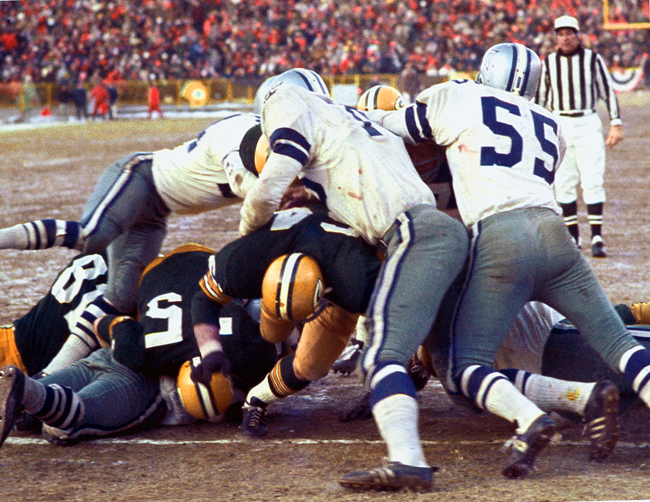 Not only did Jerry Kramer make the All-50 Year NFL Team (i.e., the best guard of the first 50 years of the NFL), he threw the lead block on the famous game winning quarterback sneak by Bart Starr that ended the 1967 “Ice Bowl” NFL Championship game against the Cowboys. He also kicked three FGs in the 1962 NFL title game win against the New York Giants (50 mph wind/13 degrees). And, he’s the author of one of the best football books ever, Instant Replay. So, why isn’t the best guard on the 5-time World Champion Packers in the Hall of Fame? Who knows. The is a very good article describing the process and asking the same questions (click here to read). It’s time to rectify this terrible oversight before it’s too late. Too many marginal players are getting in and true greats are left out. Much like Ken Stabler finally received his due from the NFL, Jerry Kramer deserves to be recognized in the HOF. And unlike Stabler, it needs to be done before he passes on. At 81 years old, time is running out. Hopefully, 2018 will be the year for Jerry Kramer on of the greatest NFL players of all time. ← Chargers Are Moving Back to Los Angeles – 55 Years Later!